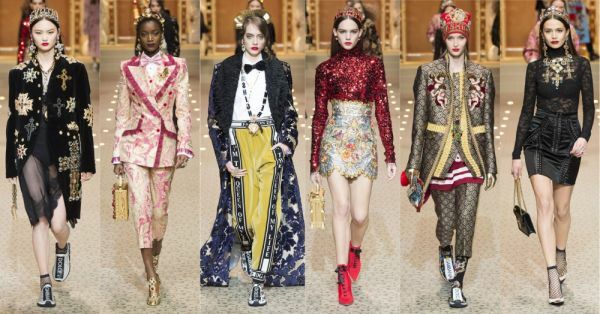 Drones, Diana's Niece And Everything Else We Saw At The D&G Show! Luxe designers played both big and small stunts on the runway for young admirer’s loyalty at Milan Fashion Week. They are featuring young Instagram-fashion-savvy supermodels like Gigi Hadid, Bella Hadid and Kendall Jenner more often. They are using more technology at the show and adding elements of street-wear in their designs. 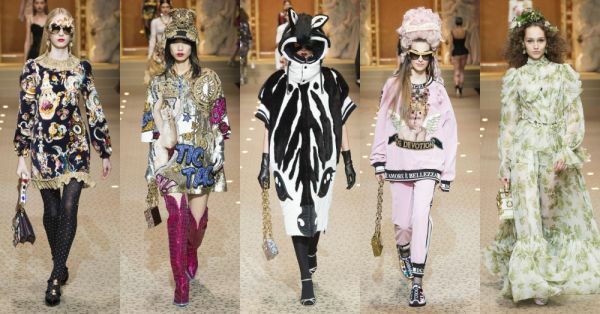 After Gucci’s spooky presentation of severed heads and baby dragons on a stage dressed as an operating room, Dolce&Gabbana also tried a technical stunt, which caused a delay of about 45 minutes but it was worth it for some. 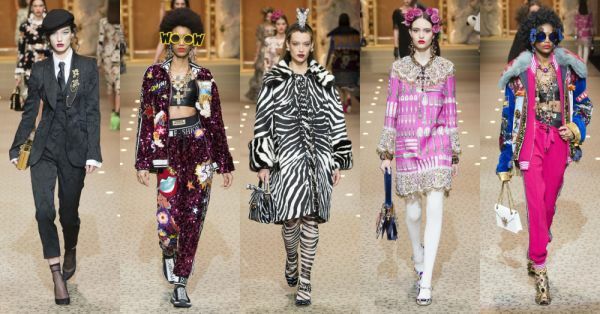 The runway had so much more to offer apart from D&G’s signature box clutches, statement earrings and bejewelled crowns including cupid sunglasses and ‘zebra’ headgear. The crowd was mystified and then maybe slightly miffed because of the delay and repeated announcements that all wi-fi connections needed to be turned off. Vogue Editor-in-Chief Anna Wintour even got out of her seat to investigate. Oh, hello, technology! 45 minutes later, there was opening music that awed as the door of the mocked-up church facade opened and then flew out the drones. 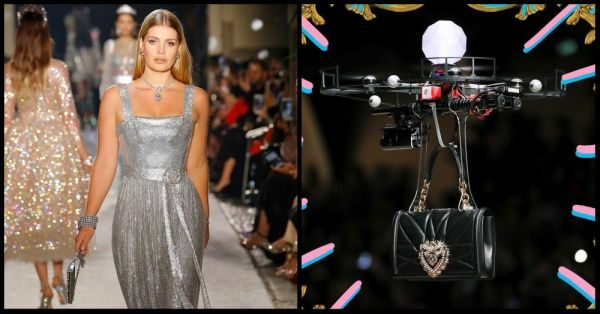 Each drone carried a quilted leather handbag from the fashion house’s collection, named Fashion Devotion and it featured a heart-shaped closure. The drones were sent down the runway before the models. The 27-year-old Lady Kitty Spencer is the niece of late Princess Diana. Kitty has previously starred in Dolce&Gabbana’s spring-summer 2018 ad campaign. She walked down the runway wearing a shimmering silver gown with thick straps with square neckline and a belt around the waist. The oldest daughter of the Duke and Duchess of Rutland, Violet, walked the ramp in an animal print midi dress which was ornamented with silver embossments. And if you don’t know it already, Lady Violet Manners and her sister are popular as the Kardashians of the English. Alice is the second oldest Manners sister. She’s a columnist, model and a socialite. 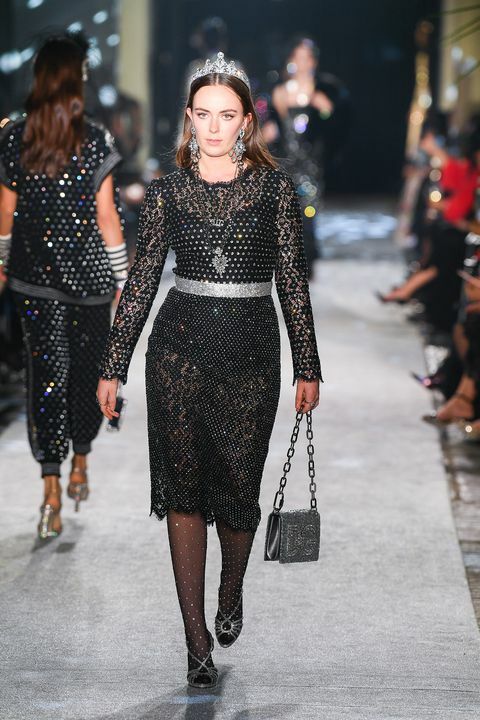 On the runway, she walked wearing a black form-fitted gown with diamond-like embellishments all over it. Her look was styled with a stunning fur coat shrobbed from one side. And, the youngest Manners sister, Eliza, who is also an aspiring singer walked in a sheer, shimmering, black lace dress. Yup, it was a royal party for everyone at Dolce&Gabbana fashion show!